This month’s cover features “Evening: Garrison Bay,” depicting the west side of San Juan Island, Washington, by watercolor artist Rexford Elson Brandt (1914–2000). Renown for his Post-World War II paintings of the idyllic Southern California coast, Brandt was born in San Diego and graduated from the University of California-Berkeley prior to establishing his home and studio, “Blue Sky,” in Corona del Mar, California. Fortune magazine published his paintings of the Los Angeles Metropolitan aqueduct in 1937, launching him to national fame early in his career. 2014 marks the centennial of Brandt’s birth. 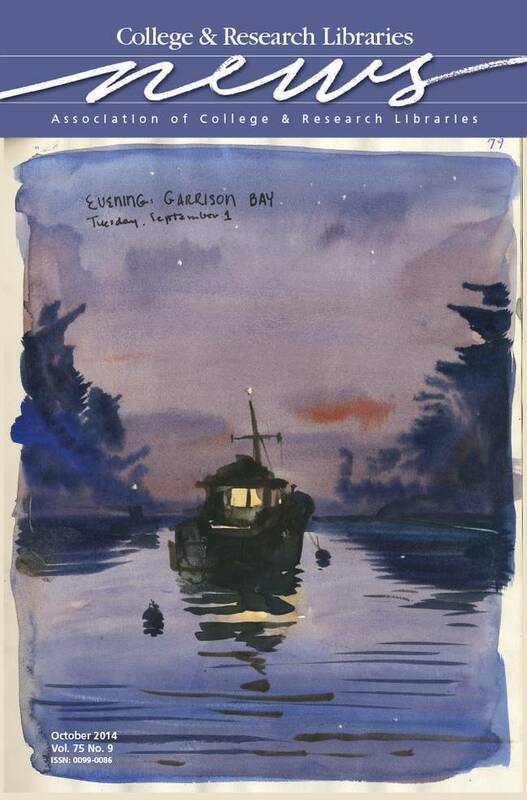 “Evening: Garrison Bay” is from Sketchbook 59 in the Rex and Joan Irving Brandt Papers, held at the Laguna College of Art + Design Dennis and Leslie Power Library.